How funny it is that when a Test Kitchen ingredient goes up for something alcoholic, the suggestions come rolling in on Facebook! Well, I mean, I'm not here to judge because I like your thoughts. After parsing through all of the ideas, it looked like desserts were on everyone's minds and cheesecake seemed the perfect way to go in using the Chambord. The miniature bottles of this raspberry liqueur were snagged from the Golden Foodie Awards and looked quite the elegant items. In terms of why I made bars instead of an actual cheesecake, it just seemed easier to manage and share with others. So here's the recipe for Chambord cheesecake bars! Preheat oven to 375°F. Line an 8x8 pan with foil, making sure to straighten out all wrinkles on the bottom and up the sides. 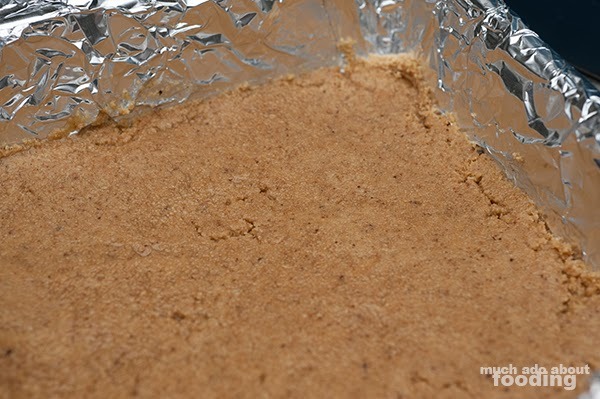 In a food processor, pulverize walnuts and graham crackers together; do in portions if needed. Add in cinnamon, sugar, and salt. Melt butter in a container and pour half into the pan. Add in crust mixture and pour other half of butter on top. Mix together well, and press down into an even crust. Bake for 8-10 minutes to prepare it for the filling. Take out and let cool. Change oven to 325°F. While you are letting the crust cool, fill a saucepan with fresh raspberries, sugar, and Chambord. Cook on low and bring to a boil. 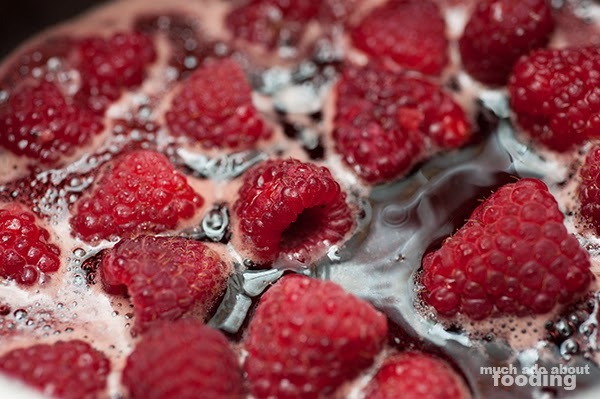 At first boil, crush raspberries and stir. Lower heat a tad more and let simmer. In a large mixing bowl, cream together cream cheese and sugar. Slowly add in eggs, sour cream, and vanilla extract until thoroughly mixed. Pour over top of crust. 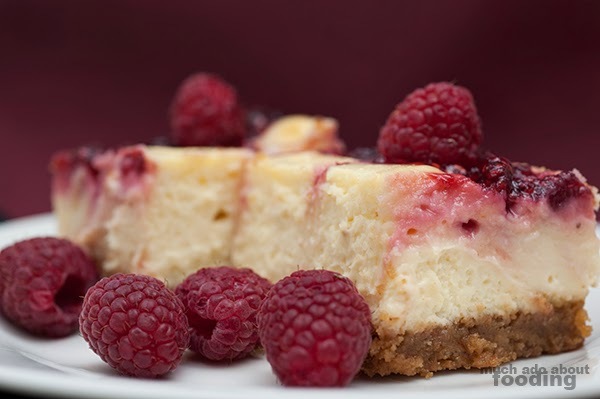 Drizzle raspberry sauce over top of cheesecake in horizontal lines. Then drag a toothpick perpendicular to the lines to create swirl pattern later. Place into oven. 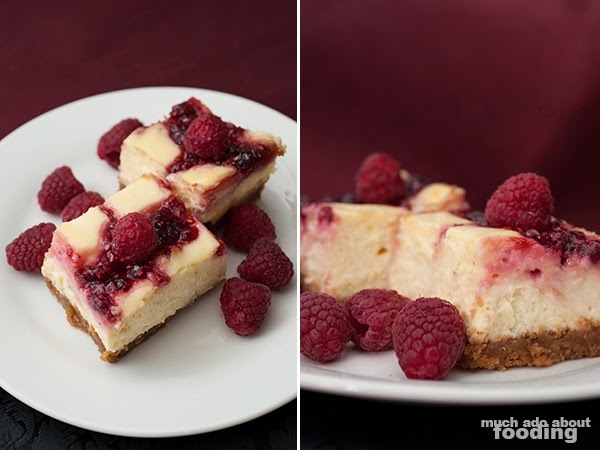 Bake cheesecake for 30-40 minutes until the cake is set but soft in the center. This is best served cold so let cool for 30 minutes-1 hour. Then refrigerate for at least 2 hours or even overnight. 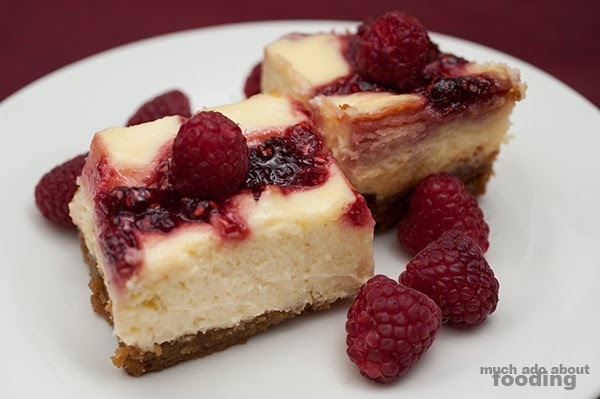 Enjoy with fresh raspberries on top! We actually got this basil from Michael Jordan, Master Sommelier, at the Ranch's Estate Sunday Supper quite a while ago as a cutting. He had talked about how much he loved this basil for its growing pattern of staying in a restricted space all on its own. Duc has worked his magic in his indoor herb garden and grown the cutting into a healthy tall plant. Now it's time to harvest. 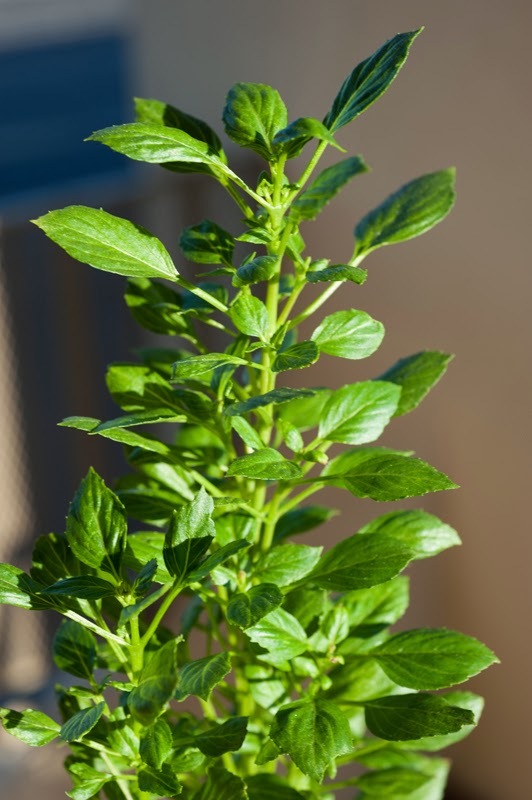 Let us know your thoughts on this basil on Facebook when its picture goes up!